GOOD NEWS ALL THE WAY FOR BALLYBROWN NS.CAMOGIE : The fortunes of Ballybrown National School camogie team are certainly on the up and up! The school recently won the final of the INTO Mini Sevens, a feat that they had not achieved since 2008. “Our girls had a battle on their hands as we had to play the champions of the other three divisions in the county” said Joe Lyons, Principal, “but it all came right in the end.” The team is coached by teachers Sheila Hayes and Sarah Keyes. Next up is the semi final of the Limerick City Cumann na mBunscol league when Ballybrown NS play Monaleen NS. 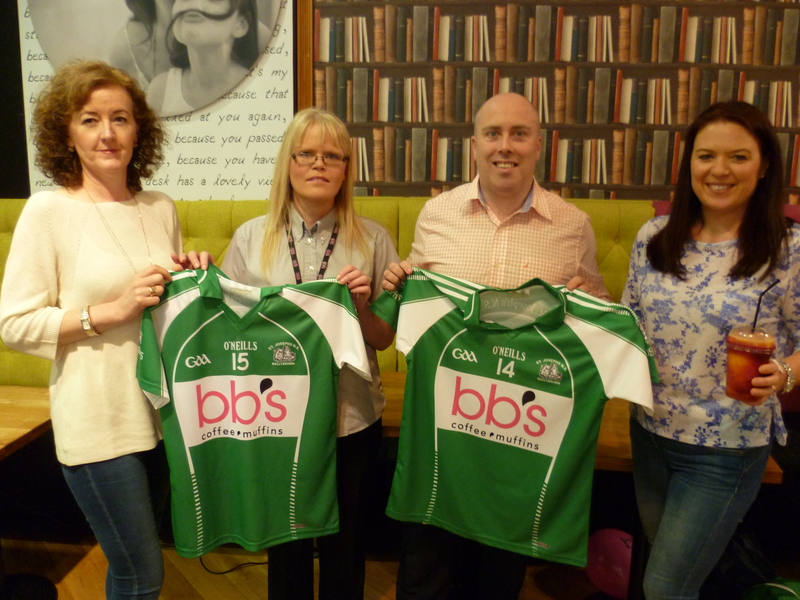 The team will also be sporting new playing gear as BB’s Muffins from Crescent Shopping Centre has kindly sponsored a set of jerseys for the camogie team. “It is a very generous gesture and I am grateful to Cian Murphy and Sinead Lynch of BB’s for arranging this” said Mr Lyons. This is the Ballybrown Camogie News section, When we receive any latest news on Camogie in ballybrown, we will post it here.